Let the cakes drain and cool slightly on a paper towel-lined baking sheet or plate. 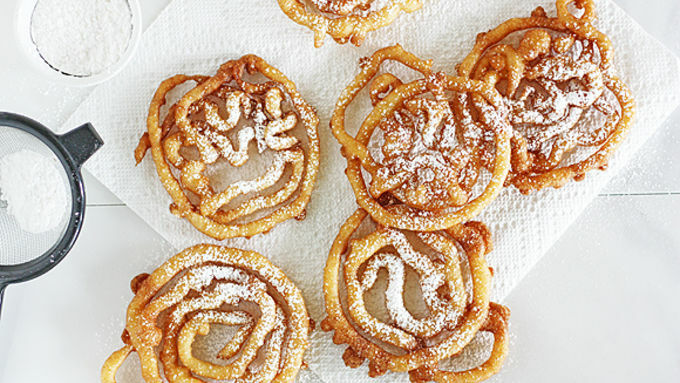 When all the cakes are fried and slightly cooled, sprinkle the tops with powdered sugar. If there is one thing my husband loves more than Christmas and his birthday, it’s the Minnesota State Fair. I wish I was joking! Every single year, he looks forward to the deep-fried food aplenty on a stick, the animal barns, the exhausting heat and the crowds. Me? I do love me a good day at the fair and a deep-fried candy bar on a stick but once a year – any more than that and I’m a little “fair”ed out. Of course, this doesn’t stop either of us from craving classic fair foods at other times of the year (or when we’re neck-deep in snow and we’re begging for that exhausting heat back). So what are we to do? 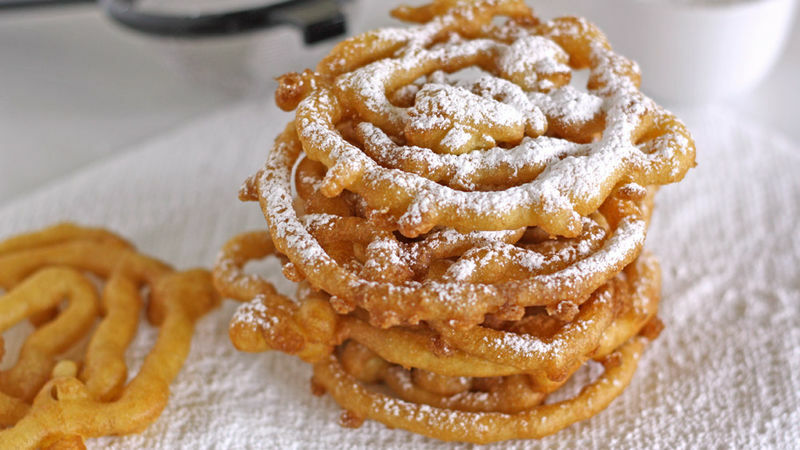 Make DIY State Fair Funnel Cakes at home, of course! 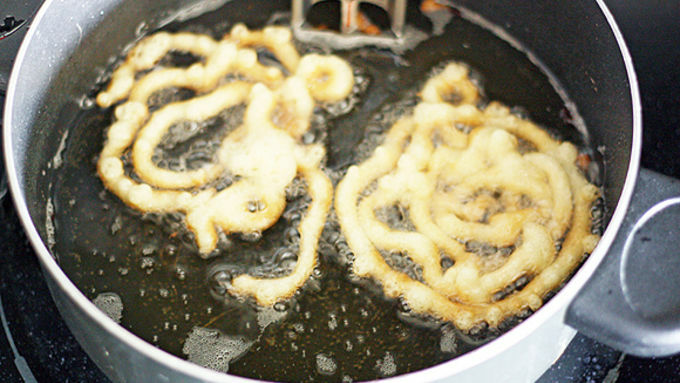 I had no idea how easy it was to make funnel cakes at home – and ones that taste just as good, if not better, than the ones I can get at the fair. All you need is some Bisquick and hot oil and you’re basically in business. 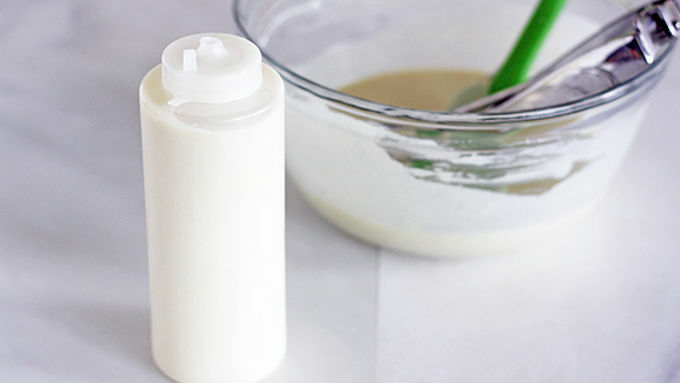 Pro tip: I like to cut the spouts of the bottles as low as possible so the opening is bigger and therefore less likely to get clogged up by a rogue lump of batter.